Custom Productions are the technical event experts. 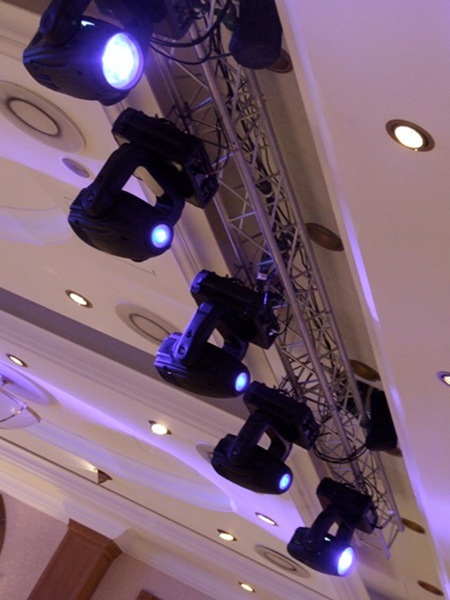 Our services range from full event production and lighting design to equipment hire and installations. No job is too big or small, too complex or too basic for our experienced team of qualified crew. From corporate events to open air theatre and musicals, conferences to marquee weddings and parties, we pride ourselves on our reliability, personal service, professionalism, quality of finish and our ability to provide first class event solutions to fit our client’s budgets. Based in Cheshire, close to the motorway networks, we produce events across the UK but are ideally located for Staffordshire, Lancashire, Merseyside and Greater Manchester. So, whether you know what you need for your event and just want to hire the equipment or, you haven’t got a clue but want someone to take the brief, solve the problem for you and manage the whole process, give us a ring or drop us an email. We’ll always happily offer advice and take the problem off your hands.